. . .and a severed leg. "Lisa Gardner always hits them out of the park." 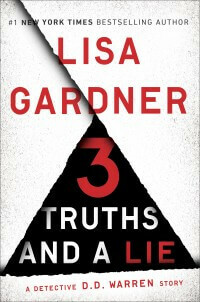 "3 Truths and a Lie is a wonderful mix of a smart, even funny short story." "Fabulous. Riveting. Incredible. Lisa Gardner is such a gem."